Join us Sundays at 10:45 AM for worship! 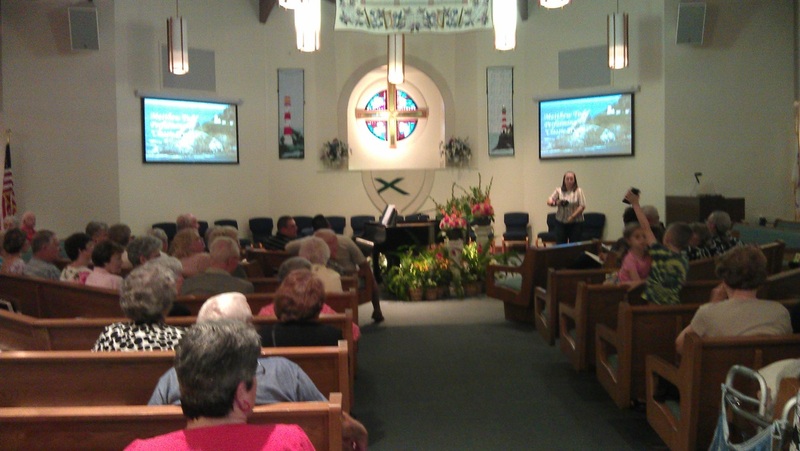 What to Expect: Our worship service includes old familiar hymns and more contemporary praise songs. We celebrate Communion every week, and all are welcome at the Table. 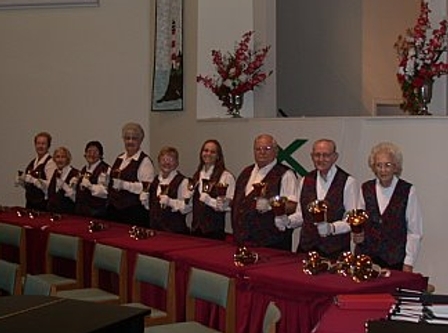 Our choir sings an anthem each week, and our handbell choir performs once a month. We collect non-perishable items each week to donate to the Salvation Army Food Bank. Our choir rehearses on Wednesday evenings at 7:00 PM. 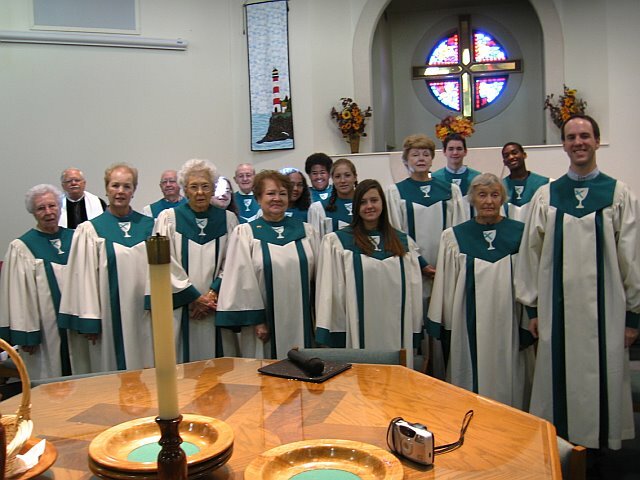 They offer an anthem each Sunday, have opportunities for solos in the worship service, and present a Christmas Cantata during the Advent season. Our handbell choir has a distinguished reputation in the region. They practice on Thursday evenings at 6:30 PM and perform once a month during Sunday morning worship. We are always looking for new ringers! As Disciples of Christ, we celebrate communion weekly during our Sunday morning worship service. We practice open communion, and believe all are welcome at the Table!